Edition of 300 copies. Includes 6-page leporello (63 x 29,7 cm) with linernotes by Gerhard Rühm in english & german. 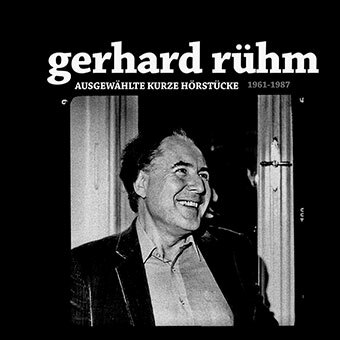 Unlike previous Rühm editions on Tochnit Aleph which portrayed his phonetic poetry and longform radio-plays, the pieces on this edition are more conceptual, actionistic and (mostly) sound-based works recorded between 1962 and 1987. There are also some last copies of the special pre-order edition of 60 copies available. Including an additional CD "Von Welt zu Welt" (with more and longer radio-plays) and a postcard signed by Gerhad Rühm.